Grandma’s Marathon training, week 10, DONE! Well, it’s been almost a week and still, I got nothin’ really all that witty or wonderful to say. I did however manage to almost keep up with my marathon training this week, and have successfully completed my 17 miler. I ran on Friday as its my weekend to pull supervisory duty at the hospital. 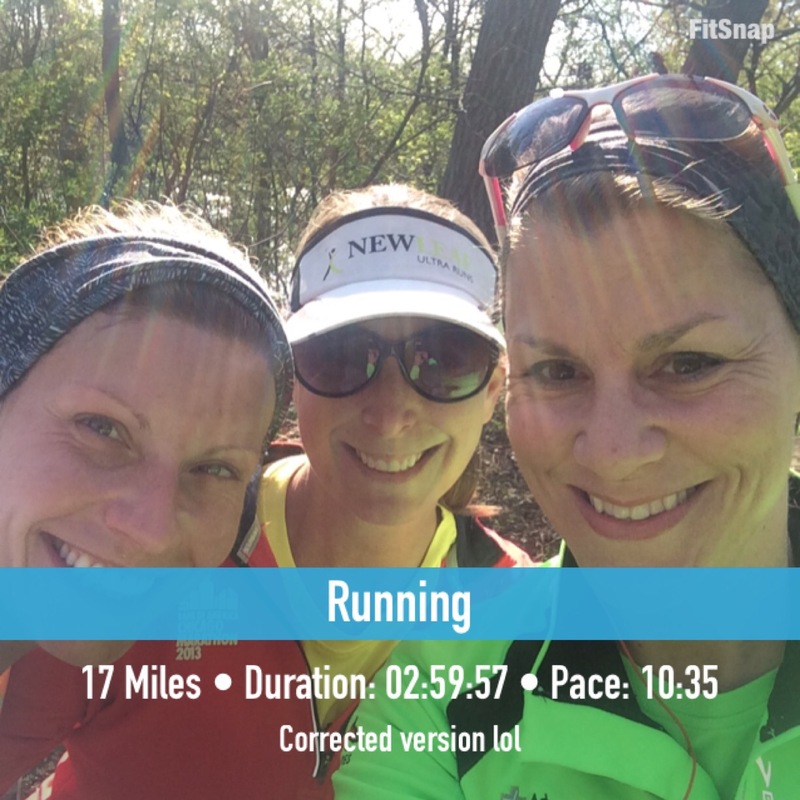 I met up with a couple of my running friends, and had a blast catching up with both of them during our miles. Melissa stuck with us for 12 miles, and Janel stayed with me until 15.5 miles where she decided it best to call it at 16 so I took off to finish the last mile and a half alone. All in all, my run felt great despite having to stretch several times. My ITB just doesn’t want to loosen up, so I am being ginger with it as to prevent injury the best I can. I foam roll every night now, and ice my knee after long runs. I also did yoga once this week, and weight training twice. Next weekend I’ll be doing my first half marathon/race of 2015 and I am really looking forward to it. It’s my PR race (2:01), and although I don’t plan on racing it as I’ll have another 5 miles to tack on after the race, I do look forward to running it for the 3rd year in a row. It’s literally almost in my back yard, and these trails and I have had many a memory made on them. They’ve listened to me when I didn’t want to listen to myself, and they’ve given me back my wings so to speak more times than I can count. If you remember, I did my 15 miler a few weeks ago on the very trails where this race will take place, and I learned a lot about myself that day. I’m also looking forward to seeing Wendy from Taking the Long Way home (do you read her blog? If not, head over now!) at the finish line as she’ll be toeing the line of this race too, but is much faster than me so will finish before I do. Bonus for me, as it will be a huge welcome to see her smiling face at the finish line. -I’ve got more fuel in my tank than I realized. After my long run Friday, I honestly felt like I could’ve kept going for several more miles. YAY! -People will support you, or they won’t. Does it matter? 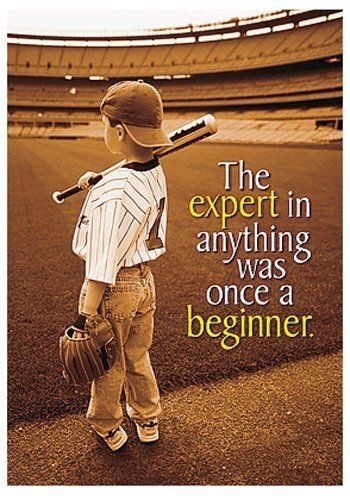 NO…as long as you believe in yourself. I need to remind myself of this far too often, so I’m saying it out loud. -Respect the distance you are running, always. ‘Nuff said. What’s your favorite distance to run? Do you repeat races you’ve previously ran? Have a great week, y’all! Keep Movin’ Forward!!! Next Post Mid week recipe…Avocado dressing! It sure does!!! Thanks and have a great week!!! Congrats on the 17 miles and feeling like you could have run more! Here’s hoping the ITB thing goes away soon! Have a great race! Thanks, Pete!!!! I’ve been fighting with the ITB for a few years now!! I’ll figure it out eventually, LOL! Great job with your 17 miles! I love repeating races each year, sadly this year there will be very few. I’ll be happy with whatever I can run this year as long as I can get past this injury. Good luck with your half! I’m so sorry to hear you are still injured!! Thanks so much for your support! Congrats on 17 miles and good luck with your half marathon. It’s great you’ll get to meet Wendy. I love repeating races I’ve enjoyed. At least you know exactly what to expect. Thanks. Lee! Sure flies by doesn’t it ! Thanks so much, Kim! Good luck to you, too!! Great run.!! I love runs that you feel you could just keep going..
Love ten milers! Thanks, Jessica! It’s a good run when you feel like you could have kept going. It sounds like your training’s right on track. I wanted to thank you for your kind words on my blog One fine day. I also write a weight loss blog. I was thinking that may also interest you. Perhaps it is more in line with your blog. You’re so welcome. Thank you. AMAZING, Michelle!! What a great and confidence boosting 17-miler!!! Can’t wait to hear about your upcoming 13.1 – I found it was so much fun to split a training run by having part of it be a race 🙂 My favorite distance is 13.1. It’s enough to be challenging but a good distance to recover fairly quickly from as well! THANKS, Charissa!!!! I can’t wait for Sunday, and may even decide to race it! hehe! For sure!! Hopefully I have enough gas left in my tank to get it done!! Good luck on your race! Congrats on your training – a couple of my run friends here just committed to running Grandma…too bad I’m not able to go with them. Take care of the IT band – maybe even foam roll a couple times a day. Good luck! Thanks, I really appreciate the well wishes!!!! Great job on your 17 miler!!! I ran Grandma’s last year; loved it!! Awh, thanks Sara!!! I appreciate that so much!